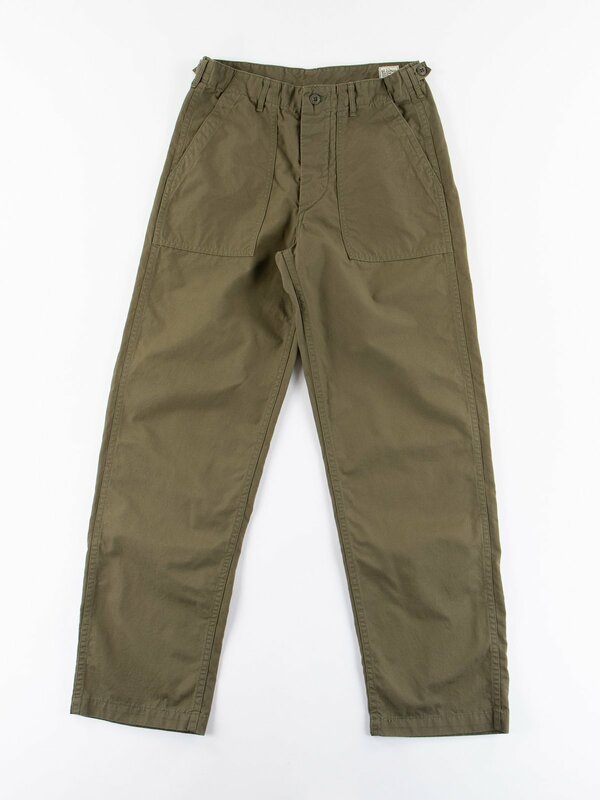 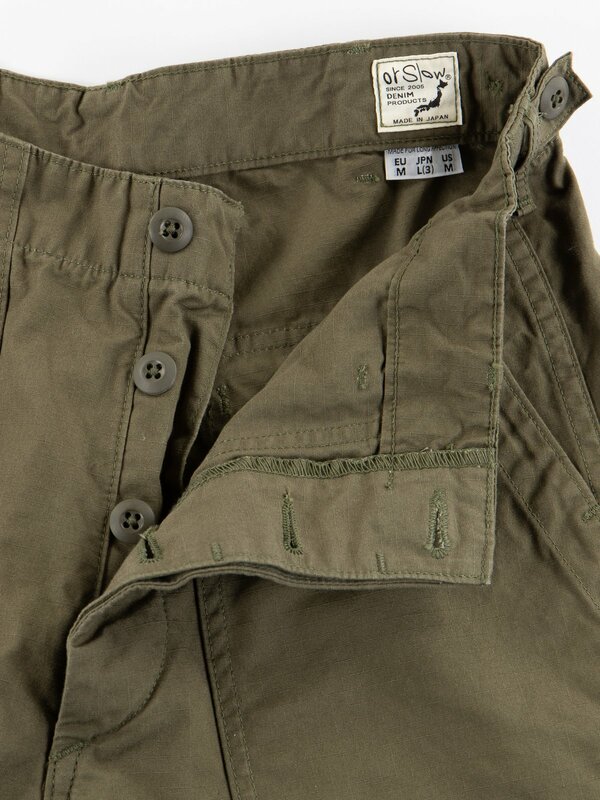 Army Green Ripstop Regular Fit US Army Fatigue Pant. 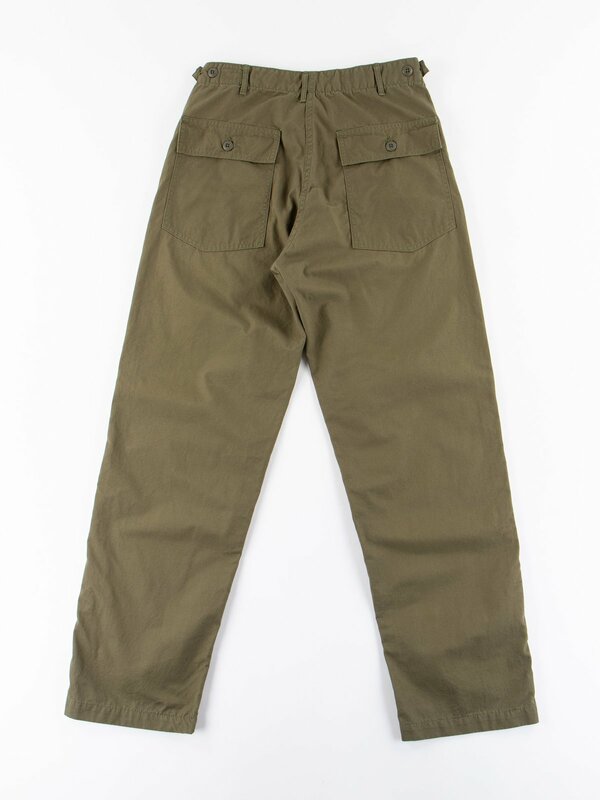 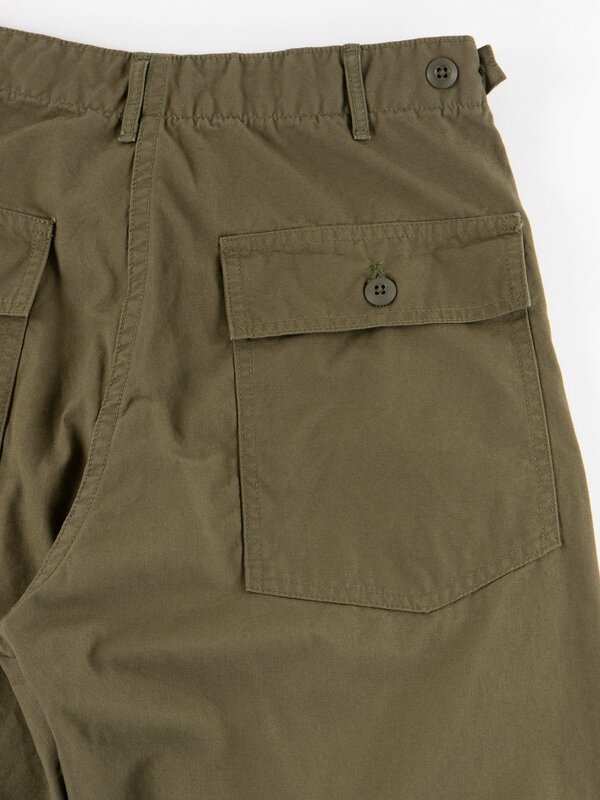 Casual fitting fatigues in a ripstop cotton, 2 front slant pockets, 2 rear patch pockets with button flaps, side cinches on the waist and a button fly. 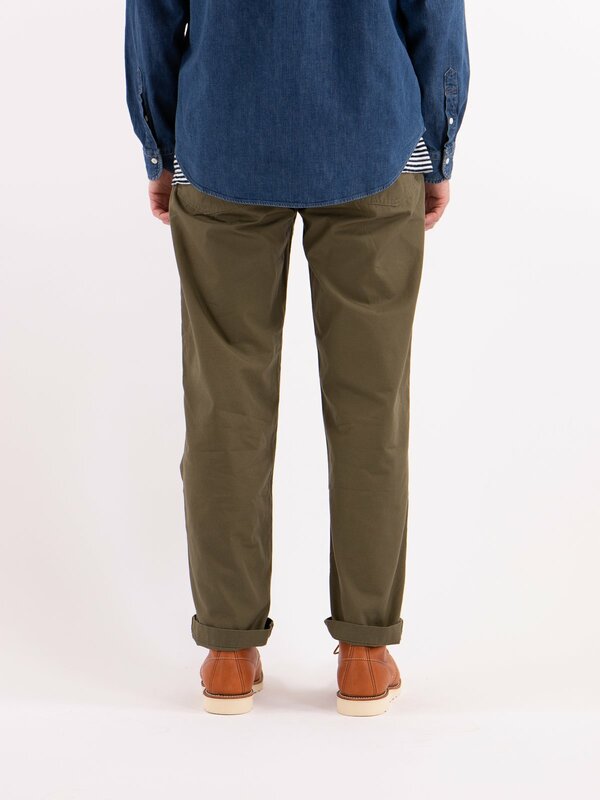 Model is 6ft, 40” Chest, 32” waist, 32” inside leg. 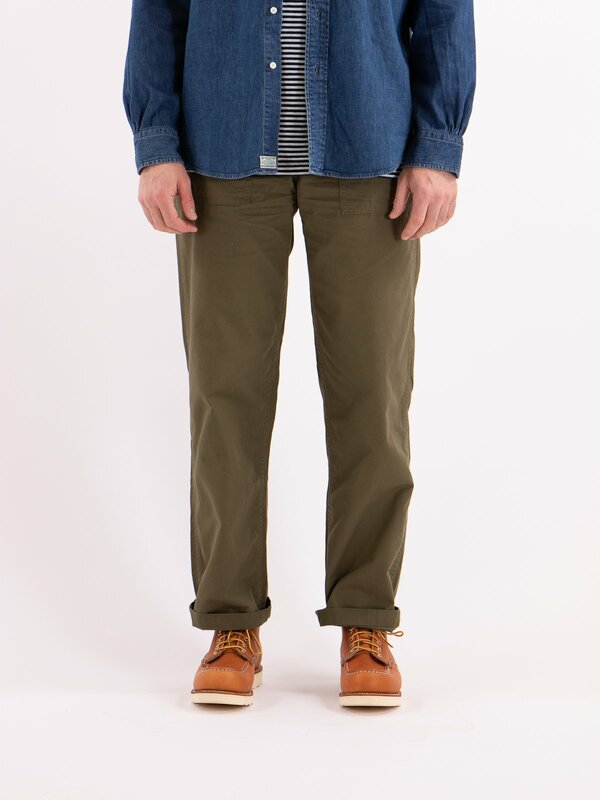 He is wearing size 3. 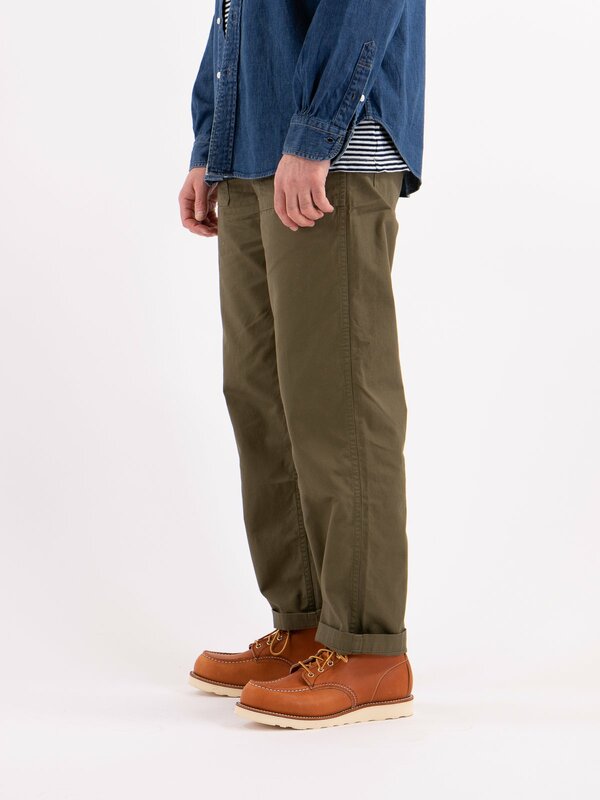 Size recommendation – Choose your normal size. 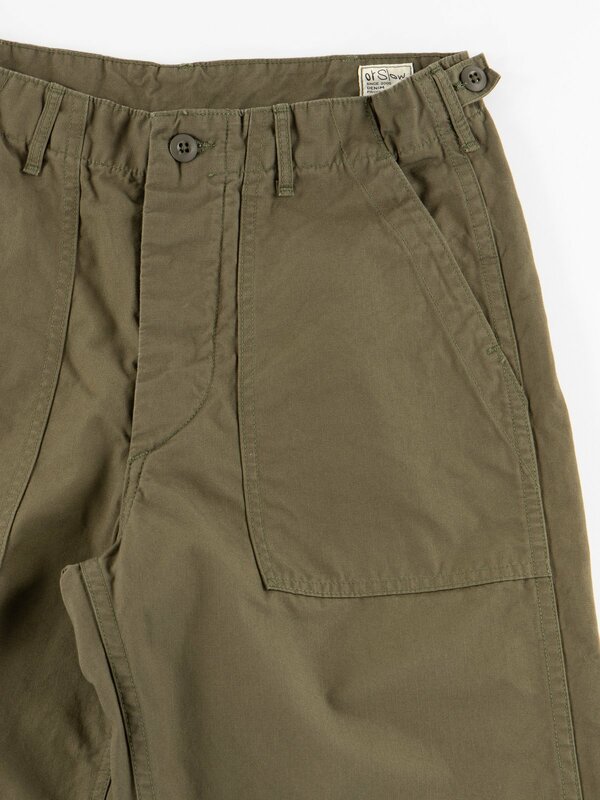 These fit true on the waist and are straight, casual through the leg.